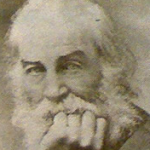 The Long-Islander was founded by Walt Whitman 1838. Fellow Pacific University MFA alumnus George Wallace edits their weekly poetry column. Last week, they featured one of my poems. 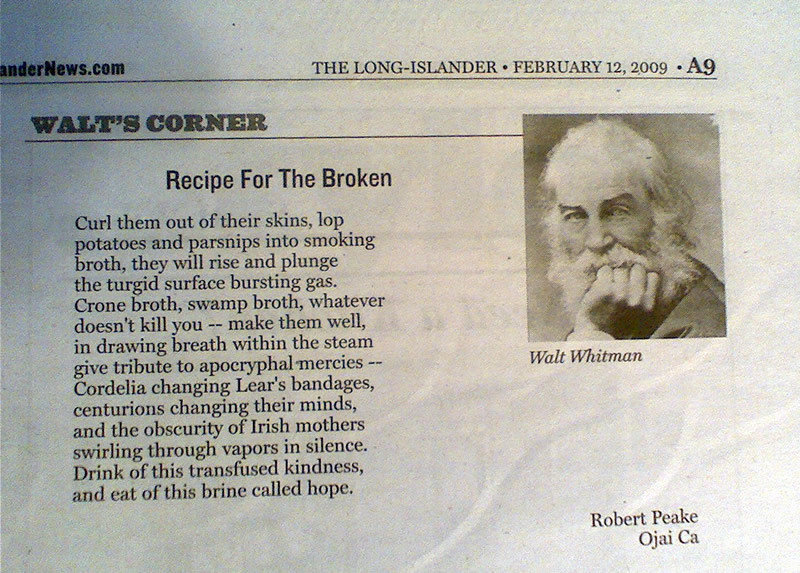 "Recipe for the Broken" loosely follows the English sonnet form. You can view a larger, legible version of the clipping by clicking here. How satisfying, indeed, to have a poem printed beneath the gaze of Whitman himself.